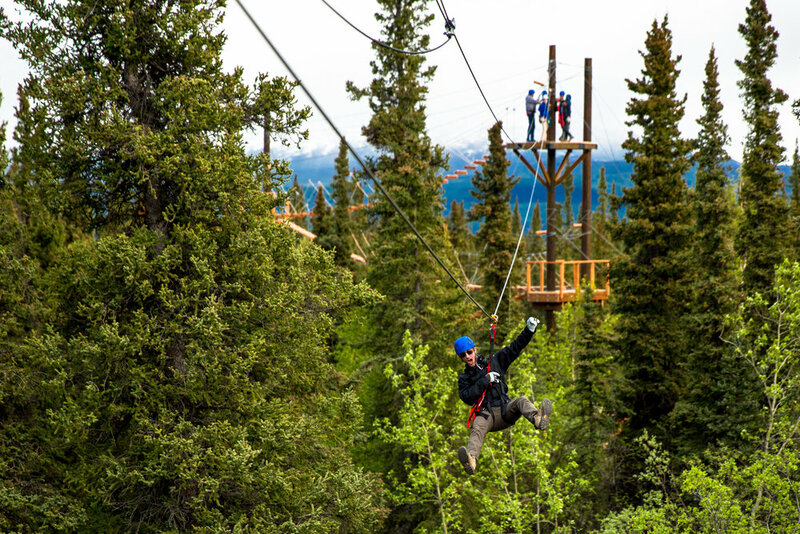 Zip through the Boreal Forest! ATV in the Alaskan wilderness! Drive a Jeep on the scenic Denali Highway! Do you need some adventure? We've got it! Denali Park Adventures offers three different adventure tours outfits just outside Denali National Park in Alaska! Whether you are in the mood for an exciting ATV ride, scenic Jeep tour, or thrilling zipline tour, you won't want to miss the must-do activities in Denali! Only Denali area zipline tour!